Having a great looking home need not cost a fortune. 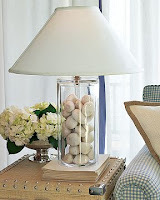 If you are resourceful, you can decorate your home and give it character without having to spend much. Interior designing brings a feel of luxury to your home yet there are ways you can cut down on home decorating expenses. Look for second-hand materials and fixtures, or buy new furniture and decors with imperfections -- their cost is much cheaper. If you are fortunate enough, you may also be able to use free labor from your friends and relatives. To do this, why not suggest a little 'time swap.' For example you 'work' for them at some point, in return for their services. You don't have to pay for all the labor needed to decorate your home if someone you know has a little expertise. You will find that a lot of the work need not be done by professionals -- there are many do-it-yourself remodeling or decorating resources available. Many of your relatives and friends will be very willing to help and to add to the fun, you can even make it like a party where you serve food and drinks, and everybody has a great time working together in doing what ever interior designing you have planned. To save on furniture and decorative items, make a trip to the second-hand shops in town. You may just find several items that will suit your needs perfectly, for a fraction of the cost. These shops sell a large variety of used but very good pieces of furniture, wall decors, lamps, rugs, and so many other home decor items, some of which you may not even find in regular stores. You may even find antique pieces that you can get at really bargain prices. Another tip is to buy new but slightly defective furniture which furniture shops sell for a much lower price. Just be sure that the defects do not make the piece ugly and that the discounts are commensurate to the defect. Remember that a cheap price does not have to mean cheap taste. Many people have completely decorated their home from second-hand pieces and the results have been amazing. All your home improvements can be done on a budget.